Freightdog Models will be releasing some affordable improvement sets for the new Revell 1/72 scale Halifax kit. Three sets are currently planned, the first applicable for the B.II being released this weekend, followed by the GR.IIA in early March, with one more to follow for the B.V series IA if there is enough interest. 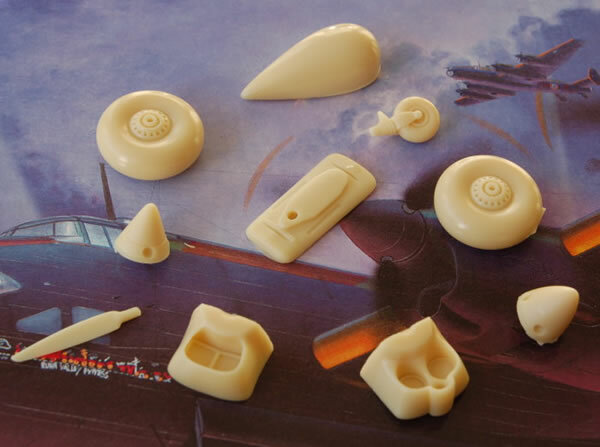 Each set will include new engine fronts, three or four bladed propellers with blades moulded in place (the B.II set has three bladed conical spinners and Galley radiators), carburettor and air intakes, larger main wheels and a bay blank and correctly sized tail wheel. 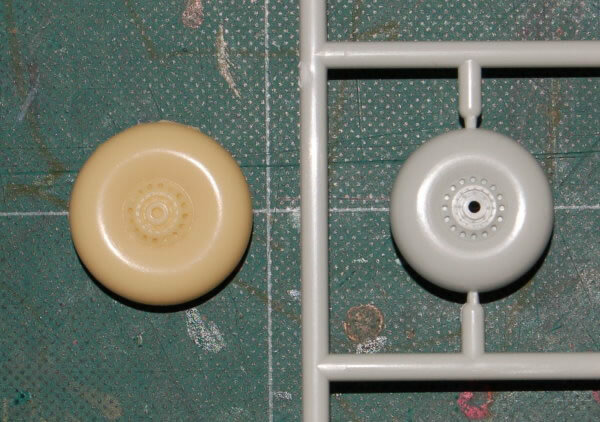 The GR.IIA and B.V set will also include a new accurately sized and shaped H2S Radome. 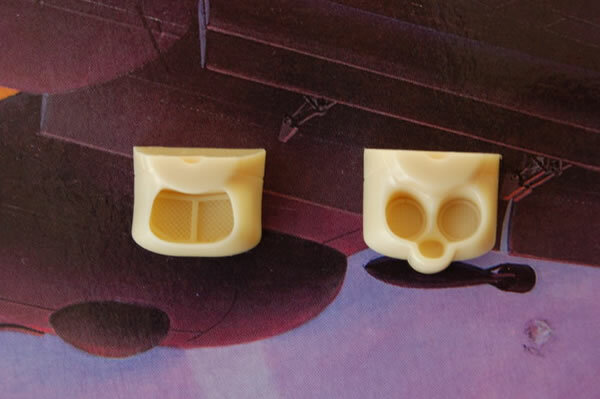 The new engine fronts are direct replacements of improved shape but are slightly oversized in proportions to fit the Revell nacelle’s, same with the props but shapes are greatly improved. 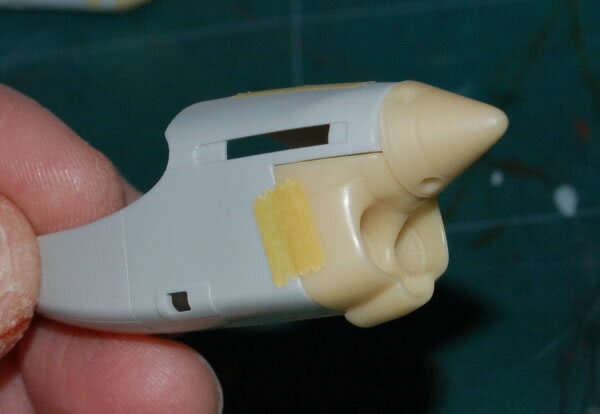 We are trying to provide a relatively quick fix for all those put off building the kit looking at the shape errors. They will go some way to improving the kit without breaking the bank or making the build a chore. 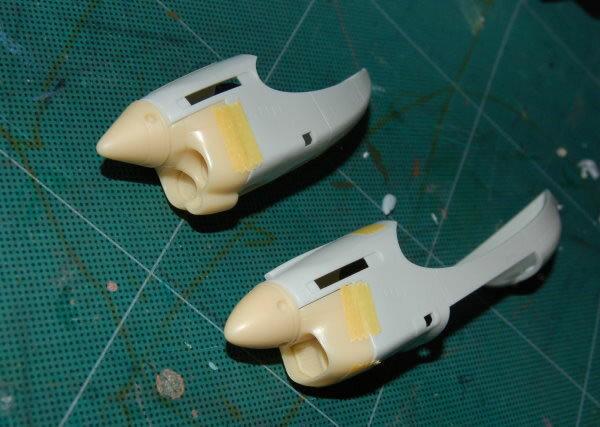 The alternative would be heavy duty surgery, beyond many modeller’s capabilities or requirements for a nicely finished model of what is a superb kit other than a few issues mainly around the engines. The B.II set will go on sale for £13.00 plus £2.00 postage worldwide and is available to order now, exclusively from the Freightdog website.